In 2016, La Palina announced they would be releasing the La Palina Nicaragua series of cigars made in the A J Fernandez cigar factory in Estelí, Nicaragua. The partnership between A J Fernandez and La Palina owner, Bill Paley, resulted in a high quality, affordable cigar. 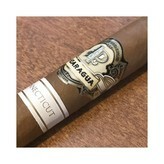 The double banded La Palina Nicaragua Connecticut Robusto replaces Goldie Paley’s image with a new “LP” logo. The second band references the Connecticut wrapper. 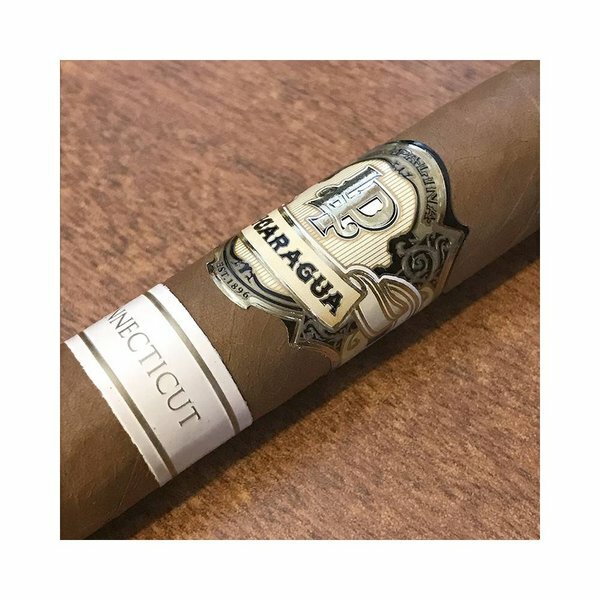 The Nicaraguan fillers and binder encased in a light brown Ecuadorian-grown Connecticut Shade wrapper leaf create a rich and creamy smoking experience. Notes of espresso, toasted almonds, spice, cedar, and a touch of honey erupt on the palate. Just a wonderful cigar that fares so well after just about any style of Latin Cuisine. Travel to regions like Nicaragua and Colombia may seem a little daunting, even dangerous to some. But that doesn’t mean you can’t experience the Latin culture here in the states. If you are ever in New York City and seeking Latin flavors, Bogota Latin Café offers a diverse menu of Central and South America dishes with a main focus on Colombian cuisine. During a recent business trip I stopped in for lunch. As an appetizer I ordered Chicharrones de Pollo. The deep fried chicken came with aji picante ( Colombian hot sauce) and a cilantro tartar sauce. The dish was quite spicy from a generous addition of Habanero pepper in the aji. I washed down all the burning spice on my tongue with the fruity Brazilian Sangria consisting of red wine, cachaça, strawberries, lime, and passion fruit juice. My entrée, a Colombian Platter called Bandeja Paisa was a massive dish of grilled skirt steak, pork chicharron, white arepa,rice & beans, fried egg, maduros, avocado and cabbage salad. Phew! Was there room for dessert? Hell yea! Being I had to catch a train back to Philly, I asked for Churros, traditional Mexican pastry sticks with chocolate and dulce de leche dipping sauces and a cup of Cafe Con Leche to go. Making my way to Penn Station I savored my coffee and a LP Nicaragua Connecticut. Once on the train I devoured my Churros with another cup of joe. I Love New York.